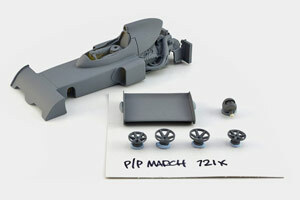 The UK Slot Car Festival returns to the British Motor Museum for Europe’s biggest and best Slot Car event. 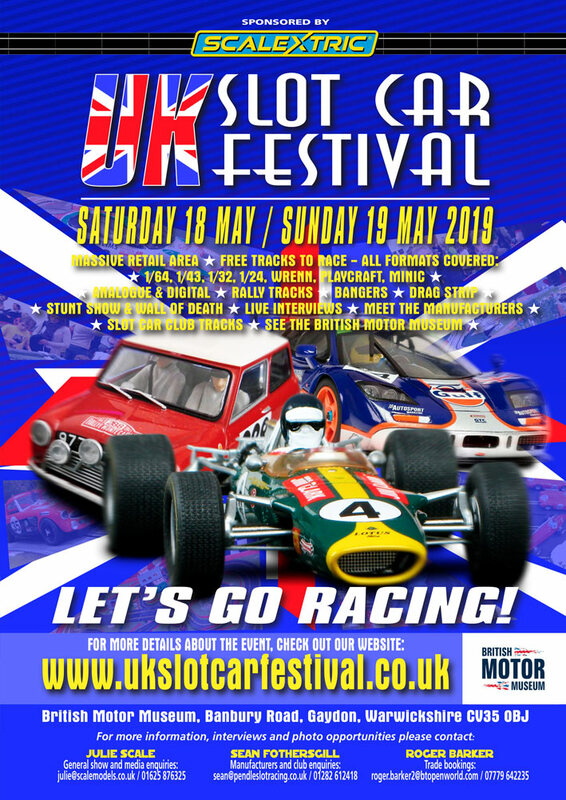 Co-organised by Pendle Slot Racing, the 2019 event will be held on May Saturday 18th and Sunday 19th. The UK Slot Car Festival returns to the British Motor Museum for Europe’s biggest and best Slot Car event. 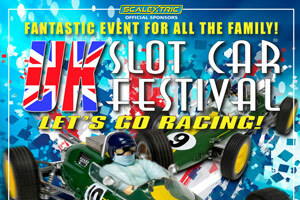 The Festival will feature all of the major Slot Car manufactures including the iconic Scalextric as headline sponsor along with Slot.it, Carrera, SCX, NSR, Ninco and H0 AFX. This event is perfect for a family day out with plenty of activities on offer. There is a comprehensive retail area including over 60 trade stands. 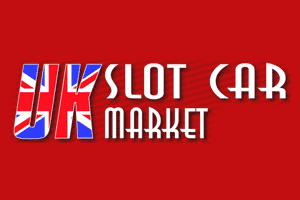 Play for free on various tracks showcasing the latest innovations such as Scalextric Spark Plug which allows you to race your car using your Android or IOS smart device. 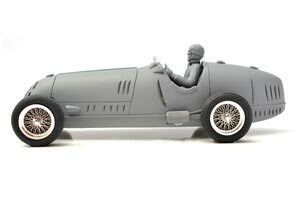 There is an amazing model village rally track, more historic brands Minic Motorway, Playcraft and Wren plus new for 2019 - a G Scale trains and 1/24 th Scale Cars layout. 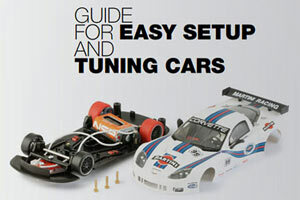 Also, check out the Lets Go Racing competition, oval banger racing, a drag strip, H0 Scale tracks, a slot stunt show and much more.